Want to read my new book? UPDATE: Wow – you guys are fast! All 50 free books were claimed within 30 minutes. If you got your name in, we will send you your book within the next 4 hours. Please check your inbox. If you didn’t please do not send further emails as no one will be checking that account. My new book, The Gospel in Ten Words, is less than two weeks away from release (17th Sept). The proofs have been checked, the printing machines are humming, the FedEx trucks are rolling, and the DHL planes are flying. It’s time to give some books away! If you would like to help with the launch of my new book, drop me an email right now and I will send you a free review copy of The Gospel in Ten Words. I want to give books away to people who will help spread the good word. Convince me that you’ll do something positive with your free book (eg: write a review on your blog, FB page, or Amazon) and you’ll get a digital copy in your in-tray today. That’s right – today. Not next week, not at Christmas, but today. The sooner you write, the sooner you’ll get it. 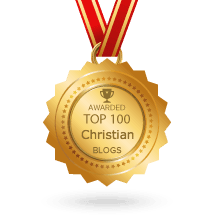 Message: I’d love a free copy of The Gospel in Ten Words and I promise to review/tweet/blog/chatter about it to all my friends. The first 50 people to respond will get a free book. Go on, you know you want one! Send me an email now. 20 Comments on Want to read my new book? Looks like I got here first! I will feature it on our website and chatter to friends about it! Well you had trouble following instructions… but I sent you one anyway! Check your in-box. Well you are the 101st and the absolutely last one through the door. I need to get back to other stuff. Enjoy your book! Hi Ellie, I promise my next free offer will be geared at a timezone more suited to Europeans and Africans. I had no idea those 50 (actually 100) books would go so fast. Paul…exciting moment has come and i cant wait to read your book. I ve been waiting and the dream come true!!! Ah well, missed out but will be buying it anyway. Your book is awesome. 6 stars. I’m just reading a few pages right now and its so liberating. 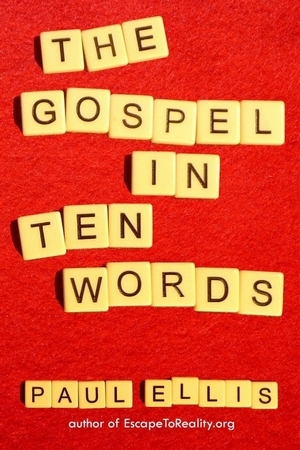 I’d love a free copy of The Gospel in Ten Words and I promise to review/fb/blog/chatter about it to all my friends. Even if I don’t fall within the first 50s, I can afford it, I and my friends have been reading your articles and will love to read this book of yours in particular if Christ tarries. Thanks. Any plans to put it on Kindle? Stephen, yes. In fact, that’s what I’m working on right now. It’s all done except for one glitchy guide item. Stay tuned for more news later in the week. Yes, I would like to review your new book. I’ve just recently found your website this year. It was nice to see the addtional authors you review that I hadn’t read because some of them were unknown to me. I have gleaned a lot of useful information from your website. Your writing is on an understandable level. My prayer partner and I share all of our good reading material with each other and others. Hi Paul, I have read your book. Loved it. It really helps in freeing one’s mind from performance-based relationship with God. I remember when I first became a believer, I was so hooked on grace- themed books, such as Grace – the Glorius Theme by Lewis Sperry Chafer. Over the years, I have allowed myself to take in so much junk of the grace-and-law mixture type of teachings. Lately after readings, articles and books, such as yours, I have realized how far I have strayed from the truth I held so dearly before. Your book serves as a reminder that I do need to get back on track again. Thank you. Greg from Indonesia.